Every dog has a unique personality that influences its behavior. 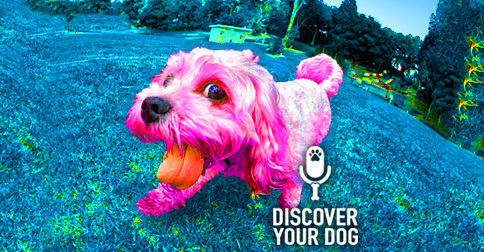 Today, discover a way to assess your dog’s personality so you can get to know your dog better! 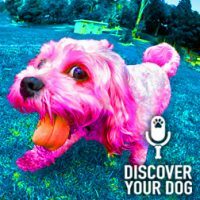 In this episode, we complete our trilogy that shifts focus so you can get a broader knowledge of why your dog behaves the way she does! One of Bennie’s postulates – Dogs have different personalities. Episodes 000 through 087 touched on different life cycles, a few breed specific traits were mentioned and discussion about your dog’s personality and YET all those shows were about YOU! In this show, we are going to discuss how your dog’s personality can affect your environment and training. Dogs have different personalities, what they are most likely to exhibit with these personalities and some combinations to be aware of. In human personality testing, we have the Myers-Briggs Type Indicator test. There are 16 human personality traits, and dogs have them too. Affenpinscher – says this dog is confident, famously funny and fearless which is all very true. Bennie uses Wikipedia as well – he puts in the dog breed name and has located great information about the temperament description. Just like in Myers-Briggs, you can take these personality traits for humans and use them for your dogs. A truly dominant dog is very rare. 97% of the time, when you take your role as the leader your dog will assume their position. Just like in the Myers-Briggs, you can have a dog with a mix of any the 7 above personality types. You will start to see these specific personality traits around the 6-month mark. Personality is very difficult to change. Bennie agrees that it is morally incorrect to try to change your dog’s personality. Take the Myers-Briggs test for your dog and let us know through our Facebook page on Family Dog Fusion. There will be a link that will take you to the 4 personality types and you will choose from each of those types that are indicated by a letter. You just pick out what you think your dog is or what you are looking for. There are brief descriptions of each type. If your dog doesn’t seem to fit in a certain way – there isn’t always going to a perfect match up for comparing human personality traits to dog personality traits. You are going to come up with a 4-letter trait and at the bottom of the page use that to scan over those 4 letters and it’s going to give you a list of words describing that trait. Pick out three words that express your dog’s personality and look at your own personality traits that could work for you. Keep in mind the analytical personality traits and to not give them to your dog. For example: dogs cannot be jealous, spiteful, or envious. They do not learn through analytical thought. Send us a picture of your dog or their name and how you and your dog matched up.